A gripping, fast-paced thriller, set in present-day London and in Shanghai in1984. Entrapment, betrayal, and espionage lurk beneath the pages, with an ending you won’t see coming. Jess is working on the China desk in the Foreign and Commonwealth Office. It’s her job to ensure the State visit of the Chinese Premier runs smoothly. But tensions are running high. 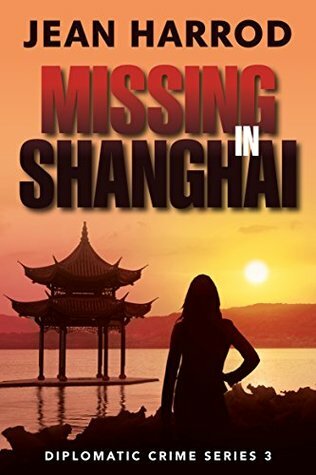 Jess uncovers a shocking secret – a British diplomat, Marianne Henderson, went missing in Shanghai in 1984 and has never been seen again. Not only that, all evidence she ever existed vanished with her. When Jess starts asking questions, she is warned off. But she is caught up in a chain of events she has no power to control. As she digs in the past to find out what happened to Marianne, Jess finds herself in grave danger. 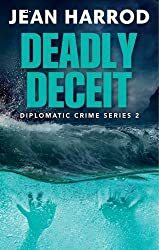 What should have been simply a day in the office for Jess Turner took a seedy turn into the past and a whole lot of trouble for her and the people who worked in the diplomatic service in present day . Now this was my first novel in the series, but I soon realised that Jess was no way a chill out and leave it to others sort of lady. Oh no, so when she is organising a state visit for the Chinese Premier it wasn’t enough just to plan his time in London, she came across a name that appeared to be involved in a cover up going way back to 1984. The mysterious disappearance of Marianne Henderson, working in a similar role as herself but in Shanghai had never been solved. Then, with a little more digging she found that Marianne had been linked to a suspicious death of someone pretty well high up and alarm bells began to ring. I got the feeling that Jess wasn’t someone to let this go and well things were certainly going to hot up! Oh boy, I do like novels that deviate from the run of the mill stories and this definitely gave me a run for my money. I loved that the author has taken what she knows from her own life, working in the diplomatic service herself and wound into it her imagination to create a cracking story round it. It makes the whole thing seem very plausible. From the hierarchy and ceremony of it all to a very well researched darker side. It blends seamlessly into a story that wowed me. The novel is really well-balanced with chapters alternating between present day with people who are linked to the visit of the Chinese Premier and way back in 1984 Shanghai as told by Marianne Henderson. Totally engrossing and more than intriguing the untouchables may be more fragile than they think, with Jess prepared to push the boundaries way past her own safety and those she loves. The end totally knocked me for six. Game set and match! 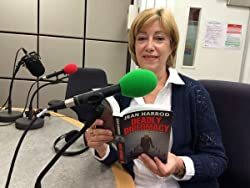 Jean Harrod is a UK crime writer, based in North Yorkshire. A former diplomat, Jean worked in British Embassies all over the world. She enjoys writing crime and suspense because gripping and tightly woven plots give her a chance to explore the psychology of what makes people commit chilling crimes. As a Consul overseas, she dealt with cases of Britons who were arrested, imprisoned, kidnapped, held hostage and even murdered. She uses that experience, and her considerable knowledge inside Government and the diplomatic world, to shape her fictional plots and characters. 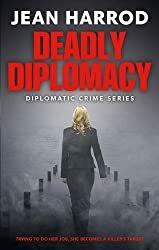 ‘Deadly Diplomacy’ is the first in a series of crime novels featuring diplomat Jess Turner and DI Tom Sangster.